I love this set of dvds. I have watched them a LOT. The ideas are great and for the most part easy to do. 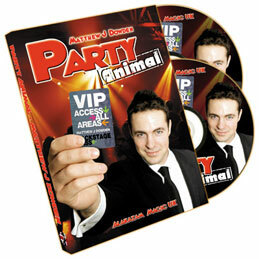 Matthew is a professional close-up magician and on his debut DVD you will experience some of his live work. There is no audience setup and no fake reactions, just the real work in a real world setting. 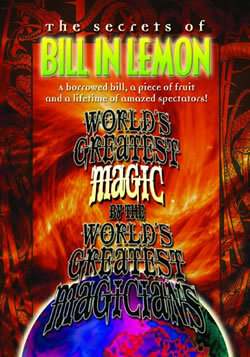 All the routines explained on this DVD have been audience tested over hundreds of performances. The handling of each effect has been honed to perfection and each one has been geared for maximum entertainment value and quick, visual impact! SHRINKAGE is an instant, eye-popping transformation. A selected card visually shrinks in mid air right in front of your spectator’s eyes! This will take some mastery of the one hand top palm but the work will be worth it. The reactions are real here folks. CARD TO ANYWHERE is an ingenious method of vanishing a selected card to have it appear literally anywhere! Card thru window, card in bottle, card to shoe. Let your imagination run wild! Brilliant thinking here. and simple but so effective. CARD TO ANY NUMBER gets straight to the point. It is a very workable version of a classic that you will perform at every opportunity! This combines a card under glass for a wonderful lesson in misdirection. I LOVE THIS. WALK AROUND WALTZ is what first drew my attention to this. 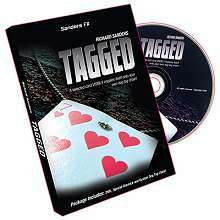 He called and respectfully asked if he could put this on the dvd. Matthew’s handling for the classic Anniversary Waltz has been carefully reworked for the walk around performer. This marks a true improvement on this trick. NO TABLE! EASY DECK VANISH does exactly what it says on the tin! It’s the ideal trick to close with; it is quick, easy and leaves them wanting more! What more can a guy ask for. REPEAT CARD TO MOUTH is a multi-phased routine based on the popular classic. 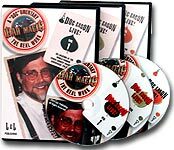 Learn all of this and more on this incredible two-disc set! Also includes: MST, SOLE SELECTION, TWO PERSON THOUGHT OF CARD, CARDS TO POCKET, MINI ME, THE TIME MACHINE and much, much more including a bonus section featuring Matthew’s routines & technique for stealing watches! This is a terrific video.